In the Summer of 2010 a series of articles exposed "Astroturf" lobbying by the Industry. In politics, Astroturf lobbying is when a PR firm creates an artificial grass roots movement by setting up a local "citizen sponsored" website, or when the PR firm's employees post comments to articles in the local newspapers. Astroturf lobbying by the camera Industry became evident when petition drives to ban cameras in several cities were met by "cookie cutter" opposition. Sorry, in this image of the article, the links are not click-able! For original article go to http://ryngargulinski.com/tag/astroturf-lobbying/. Lest anyone get the impression that ATS is the sole creator of "citizen supported" websites, here is one attributed to RedFlex. 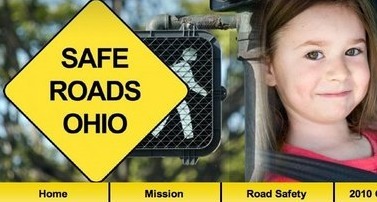 An Oct. 2010 Cleveland Plain Dealer investigation revealed that RedFlex helped start Safe Roads Ohio and gave it $7500. The Plain Dealer also pointed out that RedFlex' support was not noted on a mailer Safe Roads sent out. Nor (even as late as Jul. 2011) was RedFlex mentioned anywhere on the website for Safe Roads. Safe Roads describes itself as "grassroots." In Jan. 2011, BanCams did another article. In March 2011 there was an article about ATS' activities in Missouri. At ATS, Some of the Astroturf was Manufactured in the Executive Suite, by a Ph.D. The Herald traced the W Howard posts back to the Arizona office of ATS Vice President for Business Development Bill Kroske Ph.D., whose middle initial is "H." The Herald article showed that Dr. Kroske had posed as a concerned resident of Monroe, Lynnwood, and Everett. A later article in the Spokane Spokesman-Review revealed that Kroske had also posed as a resident of that city, under the screen name Obie1. So, now that VP Kroske is suspended, will Tuton be rooting out the other ATS employees or vendors who may be responsible for the huge number of comments by "giggley," "yogilives," and the like? Or do they expect us to believe that Kroske was sufficiently prolific to be the source of all of it? 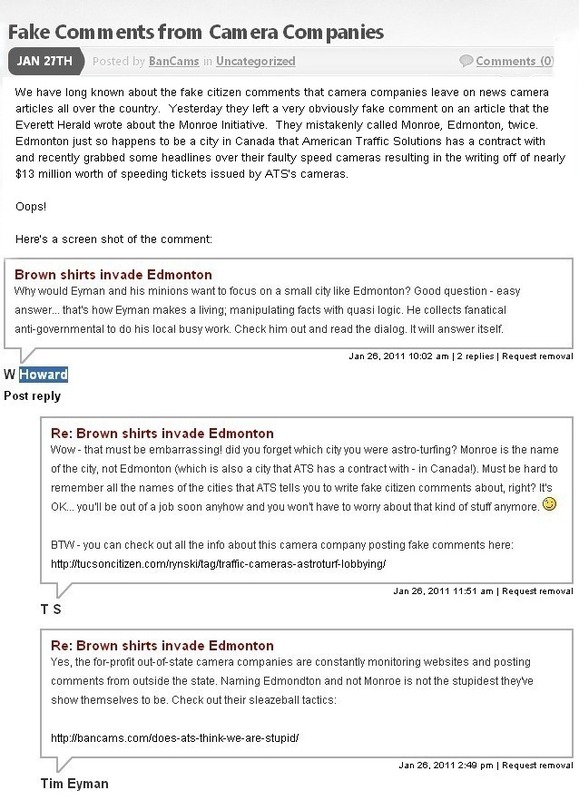 Will ATS also be firing Advarion, Inc., the PR firm behind their cookie cutter "citizen supported" pro-camera websites? Another ATS' employee was Mark Rosenker. 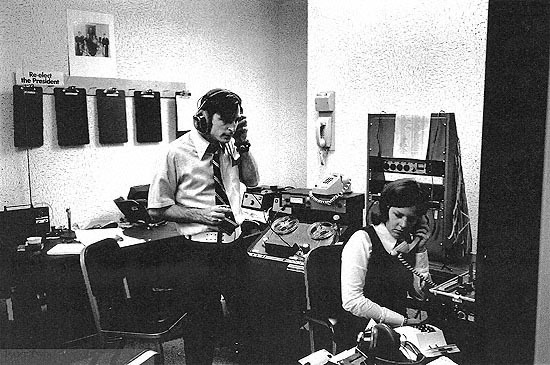 Mark Rosenker monitoring tapes and equipment at the CRP (Committee to Re-Elect President Nixon) headquarters, June 29, 1972. The Watergate break-in occurred on June 17. Starting in Apr. 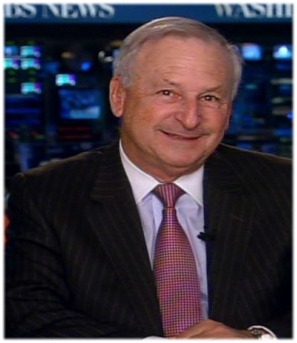 2011, Rosenker, trading upon his credential as a former chairman of the National Transportation Safety Board, published numerous pro-camera "guest columns" in newspapers around the country. In those columns Rosenker mentioned his position as Senior Advisor to the National Coalition for Safer Roads but never disclosed that the NCSR is operated by ATS. 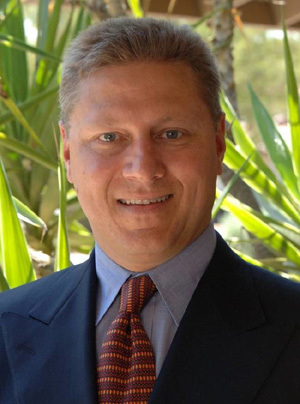 Rosenker left the NCSR in late 2011. On March 31 someone (not me!) started an "Anti-National-Coalition-for-Safer-Roads" page on Facebook! What about the 1000+ videos ATS began to distribute on May 18? They were attributed to the NCSR, with no mention of ATS, despite Mr. Tuton's pledge, made on the same day, of "honest engagement." ATS created a short video* which recounts, in the words of family members, three fatal accidents. It appears ATS bought space and inserted it into at least a thousand websites. The video began showing up on websites on May 18, with more insertions occurring as late as May 30. Each insertion of the video includes the words "powerful video" in the introduction, so Google ["national coalition for safer roads" powerful video] to find examples of the video. "Many bloggers are embracing corporate relationships as they seek to turn their Web hobbies into businesses. Mom bloggers have been especially courted because marketers believe they are regarded as more authentic." "Global Influence is a network of nearly 1500 bloggers and social media users who have chosen to receive campaign information tailored specifically to their audience and to Global Influence client needs. Founded by Amy Lupold Bair of Resourceful Mommy Media.... formerly known as Momfluence..."
*This discussion is solely about the method used by ATS to distribute their video, and is not intended in any way to make light of, or in any way minimize, the terrible tragedy suffered by the families depicted in the video. 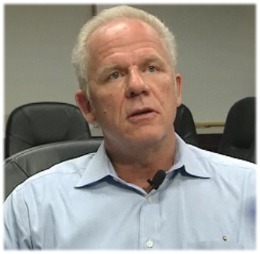 At the same time ATS was suspending VP Bill Kroske, it was firing another another top executive, Senior VP Michael Lenza. The company also filed suit against him, for (allegedly) "diverting opportunities away from ATS." ATS: "Honest Engagement? You Misunderstood Us. We said, 'Oddest Management'"
"In the back and forth over red light cameras in Houston, there is a question over who you can trust. 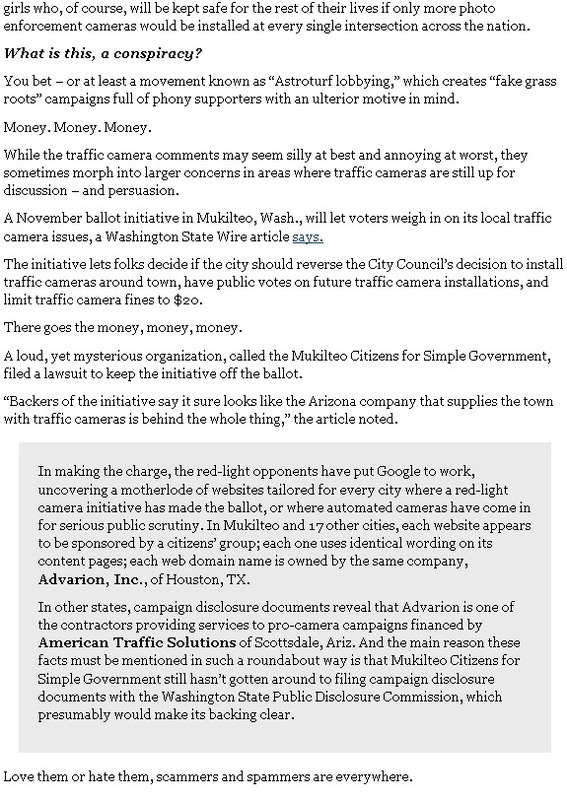 American Traffic Solutions (ATS), the camera company, was looking to keep the red light cameras on across the state, so they hired nearly a dozen lobbyists, including a well-known Houston police officer in a deal we only found out about once it was over. "[Mark] Clark was paid at least $10,000 by ATS to fight a possible statewide camera ban in Austin. It wasn't for work in Houston, but camera opponents still cried foul.
" 'People, naturally and rightly so, trust when a police officer tells them something; that they can be trusted and what they're saying is true. When that influence is being bought and paid for, then the public can be deceived,' said [camera opponent Byron] Schirmbeck. "While Clark did disclose his deal to the state, the city and the union, he never said anything publicly. So when he told Eyewitness News viewers last weekend, 'We're glad the cameras are back on. They never should have been turned off to start with;' neither you nor us had any idea he had worked for the company at the same time he worked for the union and the city.
" 'I gave viewers what they needed to know. If you're worried about red light cameras, don't run a red light,' Clark said. "Clark and ATS say their work together is now over. However, so is the legislative session which means there is no need for any more lobbying. The legislature, by the way, didn't ban cameras statewide, and ATS won that battle." ATS Still Doesn't Get It! For a whole year, starting in the Summer of 2010, ATS was pounded in the press and on the 'Net for failing to disclose its presence (and supporting money) behind front people (like Rosenker, Kroske and Clark) and front organizations (like the NCSR and Keep Houston Safe). You'd think that by the following Summer ATS would have figured out that bad press is bad for business - but evidently they had not. On Aug. 8, 2011, the ATS-operated NCSR distributed a press release which named six groups participating in the NCSR - but didn't mention the elephant in the room, ATS, whose corporate officers constitute a majority on the NCSR Board of Directors. On Aug. 18, 2011 the Everett Daily Herald revealed that in Lynnwood, Washington, the deputy chief responsible for negotiating the City's red light camera contract with ATS was asking the company about employment at the same time she was negotiating the contract, and the sergeant who ran the camera program was offering to assist the company with lobbying and marketing. See their emails to ATS at http://www.heraldnet.com/article/20110818/NEWS01/708199929 (archive of article). On Oct. 11, 2011 the Miami New Times ran an article discussing the pasts of some of ATS' employees in Florida. Dr. Kroske Back in 2012? Was He Ever Gone? 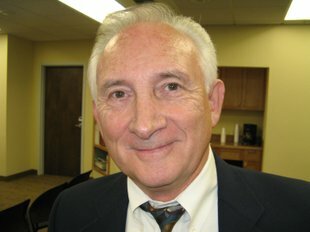 A July 2012 Press Enterprise article (archived copy) revealed that in April 2012 - ten months after CEO James Tuton stated he was "suspended indefinitely," Dr. William Kroske was still working for ATS, and he was working hard. He was putting together a lawsuit to force an anti-camera initiative off the Nov. 2012 ballot in Murrieta. His emails to the City, obtained via a Public Records Act request, showed him looking for a local entity or person to "front" the lawsuit, as the plaintiff. "He was allowed to keep his email address as he closed out his relationships with customers he had been directly involved with during his tenure." "He was not authorized nor was he instructed to make any outreach on behalf of the company on this particular issue." ATS' name did not appear as plaintiff on the Murrieta lawsuit, and ATS has refused to admit that it is funding the suit. For more information about the lawsuit, see the Murrieta Documents page. 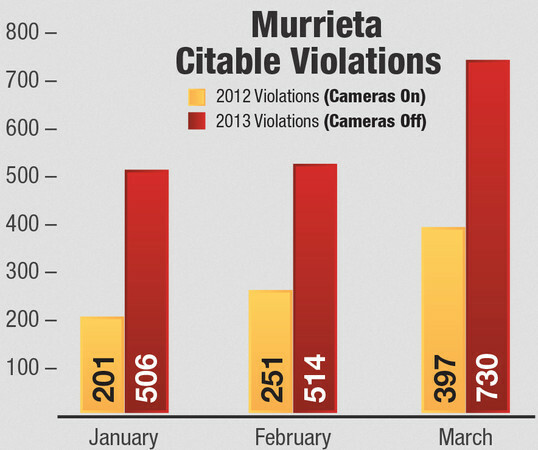 ...and claimed that two months after ticketing was suspended in Murrieta, violations had increased 86.9%. 1. Don't let an interested party such as the camera company - or even the police department - produce the analysis of the system performance. 2. Don't let interested parties control the only copies of the raw data. 3. Don't believe a company when they say - as ATS did in 2011 (above) - that they have a policy of "honest engagement." For more about ATS and how they produced this graph, see the Murrieta Docs page. The Industry also invests heavily in conventional lobbying. An Apr. 2011 article in the Hartford (Connecticut) Courant revealed that the Industry, and two interested cities, had engaged seven lobby firms to push for pro-camera legislation by the Connecticut legislature. An Aug. 2011 article in the Orlando (Florida) Sun Sentinel revealed that ATS spent $1.5 million to lobby in that state. In Sept. 2011 the National Motorists Assn. published an article about some of the more underhanded examples of lobbying. Also be sure to look at FAQ # 34 here at highwayrobbery.net. 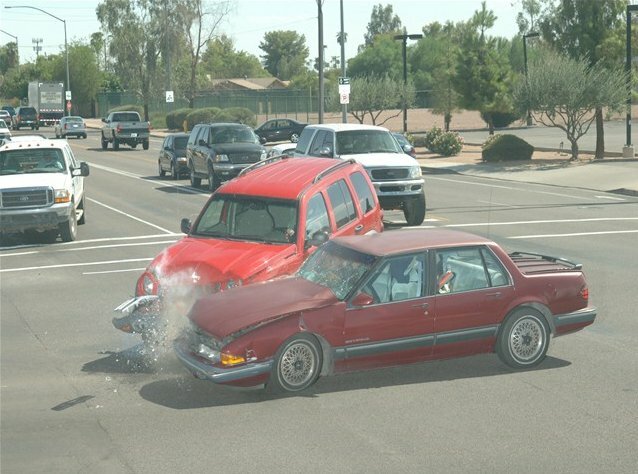 On Dec. 6, 2011 RedFlex held a little press conference at an intersection in Chandler, Arizona, to try to get Phoenix-area cities to try its collision avoidance system, called Halo. 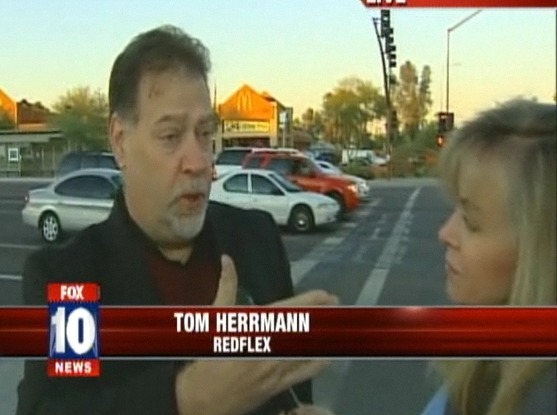 During their interview, reporter Diane Ryan from Fox 10 asked RedFlex spokesman Tom Herrmann, "Have you tried this [collision avoidance] anywhere else?" Herrmann replied, "We have done a test, in Northern California, and it was very successful." Herrmann didn't name the city, but that test was in Marysville. The Chief of Police there was surprised when I told him, in December 2011, that RedFlex had called the Marysville test "very successful." The chief noted that since the Marysville contract had just been approved in June (of 2011), it was too early to tell if the Marysville system was a success. Six months later, it still was too early to tell: In May 2012 I filed a public records request with Marysville, for "All writings, presentations or communications concerning the City's collision avoidance system." The city clerk replied: "There is not any information regarding the Collision Pre-emption System." I inquired again in May 2013. Still no information. 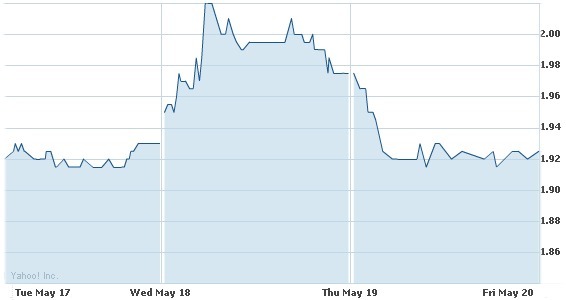 I inquired again in Apr. 2014 and again in Feb. 2015 and both times there was no new information about Marysville's Halo system. In May 2016 Marysville shut its cameras down - and there still was no information about the performance of the City's Halo system. Other cities with contracts mentioning Halo systems are Commerce, Ventura, and Paradise Valley, Arizona. "Figures often beguile me, particularly when I have the arranging of them myself; in which case the remark attributed to Disraeli would often apply with justice and force: 'There are three kinds of lies: lies, damned lies, and statistics.'" 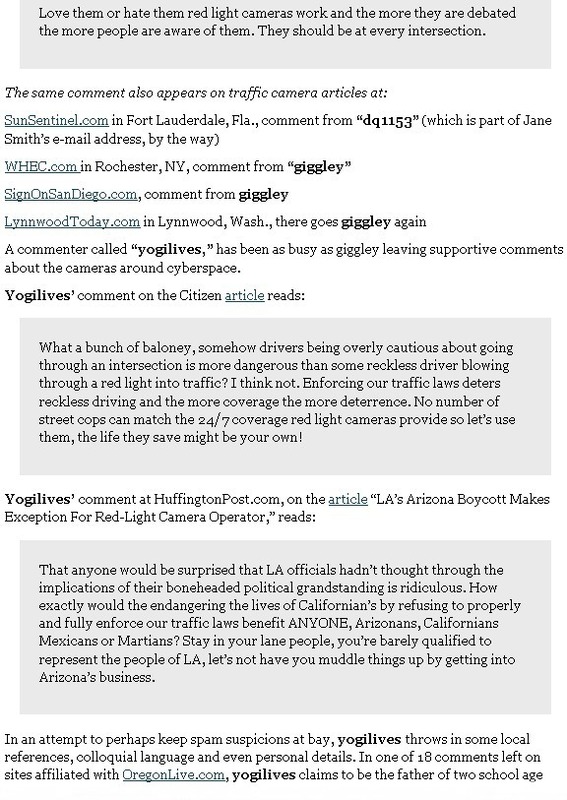 In Sep. 2010 I saw a guest editorial (archived copy) [City's red-light cameras are mitigation tools, not 'cash-extracting' machines], where the author, a traffic engineer employed by the City of Bakersfield, said that the cameras' primary purpose is to gather data so that "mitigation measures may be devised." In other words, the pictures, etc., of red light runners and accidents will tell the City's engineers what to change in order to cut accidents. His piece was 604 words long, but he did not tell us whether mitigation measures had actually been devised since 2003, the year the cameras were installed in Bakersfield. Now it's 2016, and thirteen years should have been long enough for Bakersfield engineers to study the data and install simple/cheap mitigation measures, like brighter street light bulbs at camera enforced intersections, more and bigger warning signs, better pavement markings, bigger diameter red lights and more of them, and longer yellows. We hope the Bakersfield paper will be so kind as to grant the City engineer a new guest appearance in their columns, so he can tell us about the studies they have made and the mitigation measures they have installed, to stop the running. Most cities have failed to study or install mitigation measures, despite having had cameras for many years. Perhaps it is because they know that such measures would show that the cameras never were necessary. See FAQ # 6, Alternatives to Cameras. Because it would raise the sort of question posed above - Why hasn't the city installed mitigation measures?) - the Industry doesn't want the public to focus on any particular city or town. 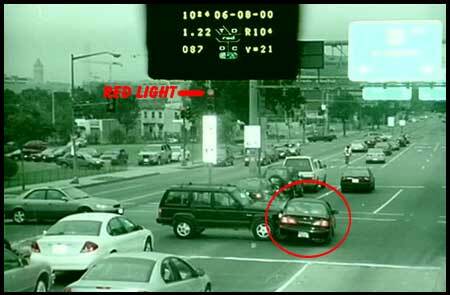 To distract us, the Industry churns out state-wide or nationwide studies, often by the authoritative-sounding Insurance Institute for Highway Safety (IIHS), always touting the safety benefits of red light cameras. These studies are widely available in the popular media, and many are listed on an Industry site, so will not be listed here. a large pro-camera study by the IIHS. "Q: Of the seven studies identified by the NHTSA compendium as the best observational RLC research, is there any consensus in the findings?" "A: There is convergence: None of the seven studies identified as the best in design and data in the NHTSA's compendium statistically permits concluding RLCs provide a safety benefit." "A common error among inexperienced researchers is to make simple before and after comparisons." "This reveals the complexity of conducting public health research because an outcome can be incorrectly attributed to an intervention if variables necessary to explain the outcome are excluded." the methods used in another large pro-camera study by the IIHS. 5. The USF's Aug. 2014 study. None of us should blindly bet his or her life on studies from either side, just because the studies are numerous or appear to be independent and rigorous. Read this article about studies in the field of medicine; it will open your eyes about all kinds of studies. "Citrus Heights chronically and systematically ignores its own policies for oversight, testing, monitoring, maintenance and record keeping." See Set # 5 on the Citrus Heights Docs page for more info. To read reports from other Grand Juries, see Grand Jury in highwayrobbery.net's Site Index. My personal inclination is to give more weight to what I hear from the local officials who, after years of hands-on experience with red light cameras, see through the safety claims and choose to speak out. See box below. City of San Francisco (downsized in Fall 2016 - cameras installed in late 1996 - California's oldest program still running): Beginning in September 2016 the City of San Francisco reduced ticketing by 80%; during 2017 they issued a total 2727 tickets compared to the average 13,515 tickets they issued in 2014 and 2015. "You are correct that engineering changes are the most effective way to reduce red light running crashes. We’ve had a long-standing record of improving intersection safety through signal upgrade improvements and signal timing changes." "We are in the process of starting a new Red Light Camera contract which will reduce the total number of approaches being enforced in San Francisco, keeping some locations we believe are still needed based on crash and citation history." How did San Francisco arrive at their decision to downsize? 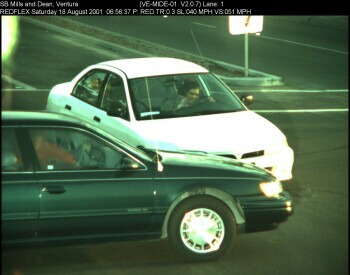 In an Aug. 2015 report (Annual Report 2014) SFMTA staff made the first of a series of annual camera-by-camera examinations of the effect the nineteen-year-old program had had upon accidents and found that the installation of a red light camera seldom was followed by a drop in accidents. Instead, the drops occurred after engineering improvements like making the yellows longer, adding an all-red interval (both of which are cheap to do), the addition of an arrow for left turns, or a general upgrade to the signal. 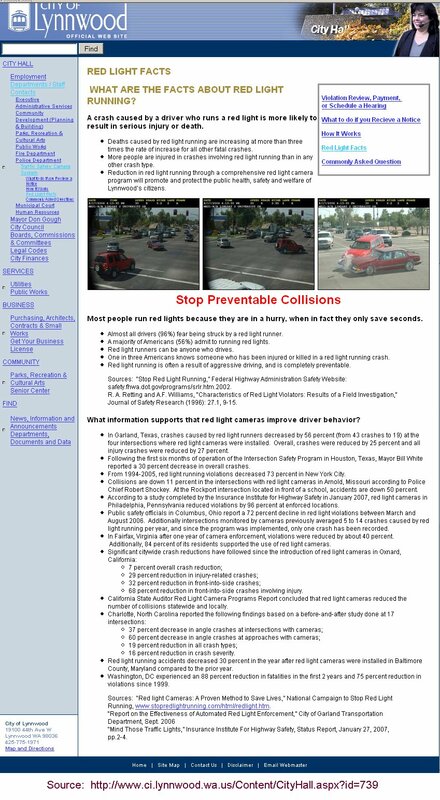 The SFMTA's newest report, dated May 4, 2018 (Annual Report 2016), properly narrowed the focus to just those collisions caused by red light violations. (See note 5 on page 2 of that report.) The report showed that following the installation of the cameras there were accident reductions at only two of the nineteen intersections studied. It should be read side-by-side with the one-year-older Annual Report 2015, as the older report provides intersection-by-intersection dates and details about the engineering improvements while the Annual Report 2016 no longer does. To our knowledge, the SFMTA has not published the Annual Reports online; highwayrobbery.net obtained them via public records requests. To find copies of the reports, use this link: http://www.highwayrobbery.net/redlightcamsdocsSanFranContd.html#annualreport or do a Google on - in quotation marks - "SFMTA Red Light Camera Annual Report 2016" and then scroll down to Set # 4 on the webpage which will come up. "After reviewing over 13 years of collision data for the two intersections, our findings are inconclusive with regards to an ARLE [red light camera] reducing collisions." "For whatever reason, it appears that the injury plus fatality collision rate at signalized intersections (with or without ARLE) has decreased dramatically over the most recent nine year period (when compared to the previous nine year period). ARLE cannot take credit for this reduction, because the collision rate decreased more at signalized intersections without ARLE." 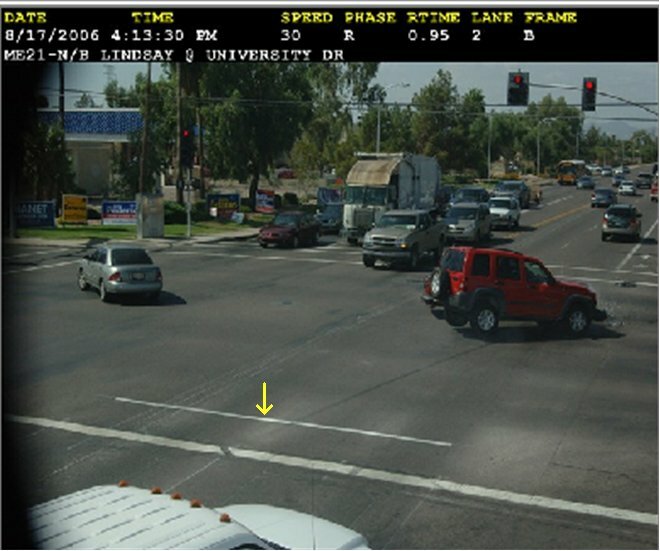 City of Laguna Woods, California (cameras installed in 2005, closed June 2014): "Staff studied incidents over a 10-year period of time and found that the number of collisions related to signal violations at the two photo enforced intersections fluctuated slightly, but did not change in any significant manner after initiation of the red light photo enforcement program." City Manager Christopher Macon in staff report prepared for 5-28-14 council item. More from Riverside: "It’s impossible to attribute causality to one thing. 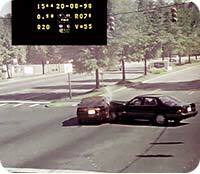 I don’t know whether and to what degree the red light cameras have contributed to a reduction in traffic crashes." Chief of Police Sergio Diaz. More from Riverside: "I have spoken publicly against the program several times in the past, once before the public safety committee and twice before the entire council. Each time, I expressed my dislike of the general concept of the program, the unethical tactics used to collect fees, inconclusive data regarding their effectiveness, and the realization of corporate profits at the expense of our citizens. My position on these matters has not changed." Retired 28-year Riverside fire captain, in letter submitted for the Oct. 2, 2012 city council meeting. City of Poway, California (cameras installed in 2004, removed in 2013): "On March 5, 2013, the City Council addressed the potential termination of the program and directed staff to turn off the cameras and evaluate the program's safety benefit for a six month period." "During the six month period preceding the March 9, 2013 turn-off date, there was a total of eight [later corrected to seven] accidents at these three intersections. During the six month period after the March 9, 2013 turn-off date, there were five accidents. This represents a decrease in accidents of 37.5% [later corrected to 28.6%]. There were no serious injury accidents during this period." City Manager, in report submitted for 10-15-13 city council meeting. 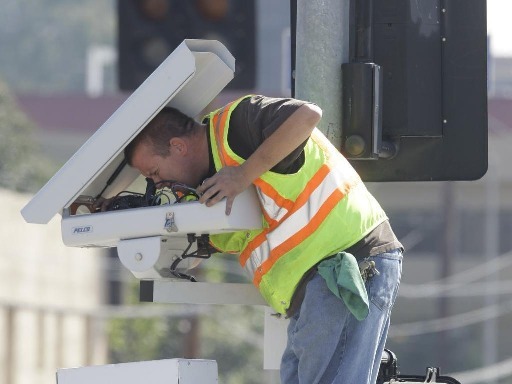 City of Emeryville, California (cameras installed in 2004, removed in 2012): "Staff also analyzed the number of accidents for the same seven year period and found that the red light cameras did not significantly impact the number of accidents." "Finance has estimated that elimination of the program would result in a $200,000 per year savings to the City." Chief of Police Kenneth James, in reports submitted for 5-15-12 city council meeting. More from El Monte: "We're spending a lot of staff time on this just to gain $2000 a month. It doesn't reduce accidents -- that's what our studies and results have come back." City Manager James W. Mussenden. Source: Granicus video of council meeting of 10-21-08, at 1:28:40, available at City's website. City of Upland, California (cameras installed in 2003, removed in 2009): "The system appears to have little influence on the number of red light related collisions at monitored intersections. At times, rear end collisions have actually increased." Chief Steve Adams, in memo presented at 3-9-09 council meeting. City of Whittier, California (cameras installed in 2004, removed in 2010): "Initially, the red-light program did change behaviors because it did lessen the number of red-light violations but over the long term it didn't appear to lessen the number of injury accidents." Assistant City Manager Nancy Mendez. 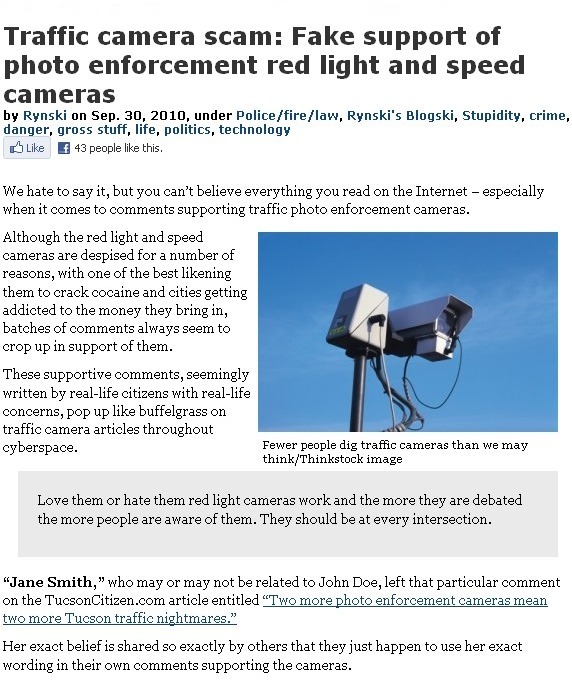 City of Loma Linda, California (cameras installed in 2006, removed in 2010): "I believe these red light cameras are ways for city governments to legally extort money from their citizens." "The month after we lengthened the yellow light by one second, the number of violations that we have seen dropped by 90 percent." Mayor Rhodes Rigsby, M.D. Slide shown by staff at 8-21-13 Escondido council meeting. 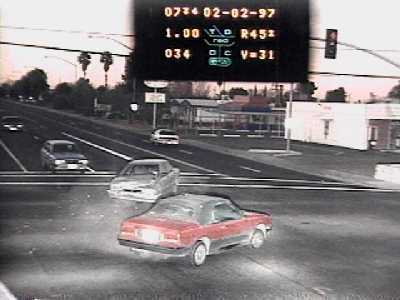 More from Escondido: "Some of the best footage of really drastic collisions comes from red light cameras." "The cameras are there, the collisions still happen." Councilwoman Olga Diaz. Source: Video of council meeting of 8-21-13, at 1:30:00. The San Mateo County (California) Superior Court (beginning in 2005 nine cities in the County installed cameras and four still were operating cameras as of 2018): "Are we doing right by the public?" "It's questionable whether the trade-offs are appropriate." "There's a balance there, and I don't think we have found it." CEO John Fitton, San Mateo Superior Court, on 11-13-09. More from the San Mateo Superior Court: "I would advise cities who are contemplating installing red light cameras to move cautiously. I know these systems generate revenue for cities, but safety-wise there are questions about whether the red light cameras reduce accidents." 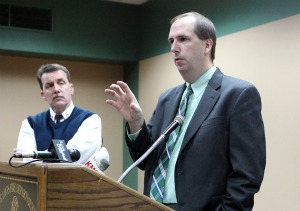 CEO John Fitton, on 2-16-10. City of Dunnellon, Florida: "Within just a few months after removing the cameras the positive feeling throughout the community was palpable. Our business and new development has greatly improved since removing them. People were learning ways around town to avoid the cameras, which is never good for business. Also, rear end collisions went up considerably, so safety was hardly a winning argument to keep them. The revenue that the city lost due to removing the cameras is a drop in the bucket compared to the negative aura and loss of business the city experienced. You can't put a number on negativity. The yellow lights had also been set to the minimum length allowed by state law by the previous city manager, so they were near entrapment-level cameras. We noticed a reduction in accidents just by lengthening the yellow light time months before we removed the cameras. We also extended the red light time in the opposite direction allowing intersections to clear and this also made a huge difference in accidents." Source: Nathan Whitt, former mayor of Dunnellon, in email received by highwayrobbery.net on 6-16-17. 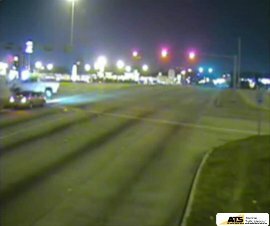 More from Peoria: "The Red Light Camera Photo Enforcement Safety Program has not met the goal of reducing collisions at the monitored intersections, however, the goal of reducing the frequency of red light violations has been met." Chief of Police Roy W. Minter, in staff report prepared for 9-13-11 council meeting. 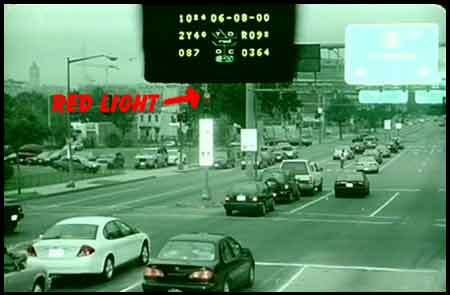 I have attended over 1000 red light camera ticket trials, and have noticed that the average Late Time on a through (not turning) violation is about 0.4 seconds, with many tickets issued for violations of 0.1 second. Yet, the crash photos released by the Industry nearly always depict violations that are many seconds longer - unintentional running that is little reduced by the presence of cameras. Or, the Industry photos depict crashes where, after a little examination, it is clear that the running of a red light was not the primary cause of the accident. I did a Google photo search (images.google.com) for "red light camera" and "photo enforcement" and came up with the following. The photo above has been widely circulated. 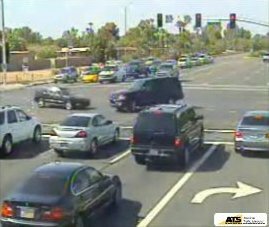 It is from Ventura, California (Southbound Mills at Dean), and shows an imminent accident. Someone quickly reviewing the photo might assume it was caused entirely by the white car. However, if we look at the small white numbers in the black strip above the image, we can see that the Late Time, the amount of time that the white car's signal had been red, was 0.3 seconds ("TR 0.3"), and that the white car was in Lane 1. (For more info on how to read Late times, see the purple box in Defect # 7 on the Home page.) That short Late Time raises the question of how the green car got so far into the intersection so quickly after the onset of his green. Did he jump the green? Furthermore, the speed of the white car is indicated as being 51 MPH ("VS 051 MPH") - so in 0.3 second it would cover 22 feet. Thus, at the instant the signal turned red, it would have been 22 feet or less behind the position depicted, probably with its nose well past the limit line - not a violation. 2. The driver of the green car, who apparently jumped his green light at high speed (note his skid marks). On a couple occasions in the past, I have asked the Ventura PD about this photo. So far, no additional information has been provided. Maybe, now that I am publishing it with my interpretation, they will respond with their own interpretation. 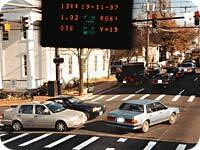 The photo above, from Duke and Walker streets in Alexandria, Virginia, shows an imminent accident (unless everyone is very lucky). However, it should be noted that the Late Time was 8.1 seconds ("R081"), and that the limit lines have been worn away to the point where they could easily be overlooked, and that the signal lights are on the far side of the intersection. The photo above is from Mesa, Arizona. It should be noted that the Late Time was 33.4 seconds ("R334"). The next photo, below, is from the same intersection. This photo above is also from Mesa, the same intersection, one week later. Note that the Late Time was 45.2 seconds ("R452"). If drivers are totally failing to notice that the light is red, maybe the City needs to put up bigger lights, or more of them. These pictures were taken in 1997. It would be interesting to inquire as to what improvements the City has made to the intersection in the years since then. 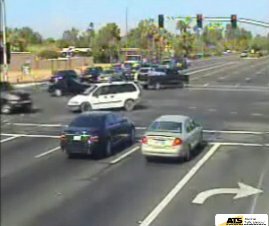 The three photos above are from a Aug. 17, 2006 crash in Mesa, Arizona and have been used extensively as a red light camera sales tool in other states. The MPD did not provide a caption or other information about the accident depicted. Someone quickly reviewing the photos could assume that the red SUV caused the accident, but it's not that simple. If we look at the small white numbers in the black strip above the first photo, we can see that the Late Time, the amount of time that the SUV's signal had been red, was 0.2 second ("RTIME 0.2"). (For more info on how to read Late Times, see the purple box in Defect # 7 on the Home page.) The SUV's speed is indicated as 30 MPH, so in 0.2 sec. it would cover 9 feet. Thus, at the instant the signal turned red, the SUV was 9 feet or less behind the position depicted in the first photo, which would mean that its front bumper (and probably much more) would be past the first line of the cross walk. In California and many other states, that would not be a violation. But in Arizona - it is a violation! ...vehicular traffic facing a steady red signal alone shall stop before entering the intersection..."
"...the area embraced within the prolongation or connection of the lateral curb lines...."
So, in Arizona you have to get the front of your car past the "prolongation" - the thinnest white line (I've added a yellow arrow in the second photo above) - before the light goes red, or it is a violation. And, since you are expected to actually make your stop before the crosswalk (so that you're not blocking pedestrians), the net effect is that you will have 12 - 15 feet less room (crosswalks are 10 -12 feet wide) to stop in Arizona than at a California intersection having the same length of yellow. That's equivalent to having a yellow that is 0.3 second shorter. Discussion of the accident continues below this box. Attempts to Change Arizona's Definition of "Intersection"
In early 2016 a bill was introduced in the Arizona legislature, to change the definition of "intersection." It is HB 2593. Will it pass? In 2013: During the July 26, 2013 Arizona Illustrated Politics show (TucsonWeekly.com), Host Jim Nintzel, Tucson Hispanic Chamber of Commerce President Lea Marquez-Peterson, former state lawmaker Frank Antenori and former Pima County Democratic Party chairman Jeff Rogers talked about Arizona's definition of the limit line. Host Host Jim Nintzel: Speaking of signature gathering, Frank, were you disappointed when we learned this week that John Kromko had not gathered enough signatures to put his red light proposition on the ballot? Frank Antenori: His downfall was the majority of folks were not within the city limits of Tucson. A lot of people have a Tucson address that live outside the city, and that created a lot of confusion with the signature gatherers. Yeah, I'm really disappointed but again as we talked earlier, the solution is just simply define the intersection in Arizona like it is in 48 other states. Especially every other state inside the lower 48 has the rule that it's the stop line. We're the only state in the lower 48 that said it's the prolongation of the curb line, and that's creating all those problems. And if you want to be fair about it, that's the way you fix it. You don't have to get rid of the cameras. Just make the definition of an intersection the same as every other state in the country. Host: Jeff, you've actually agreed with Frank on this point. Jeff Rogers: Make it fair. It's almost like you're tricking people. Any rational person is going to think, "I'm over the stop line into the intersection, the light goes off and you go ahead and make your turn." But no! It's the imaginary line from the curbs. They've gone ahead and painted some lines there to try to make it a little less tricky. But still the law is it's the imaginary lines. So, I have to agree with Frank on that. Just make it fair. Host: If it had made it to the ballot, how do you think it would have gone? Rogers: I think that would have been a close one. Antenori: Every state and municipality where that question's been put on, they've gotten rid of the cameras. It's overwhelming. Not one of them has survived an initiative challenge - when it made it to the ballot. Rogers: And, especially here, if they know how dishonest the intersection definition is. That might have been enough. If people just educate themselves on it. Host: Any thoughts on these red lights? Lea Marquez Peterson: Actually I wasn't aware of that intersection definition. That is interesting. Sounds like it makes sense. Antenori: We could've solved this problem but our beloved governor vetoed the bill that would've fixed it. Marquez-Peterson: Now I know. Stop at the line. 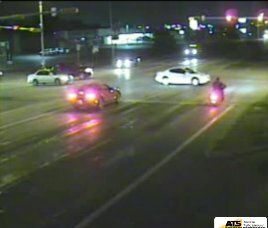 In 2011, Arizona State Senator Frank Antenori sponsored a bill to change the legal definition of an intersection, but on May 9, 2012 Gov. Jan Brewer vetoed it. Article. In Nov. 2009 an Arizona resident got the FHWA to rule that these unusual Limit Lines are "non-compliant," but then lost at court when she tried to use the non-compliance as a defense. "Vehicular traffic facing a steady red signal alone shall stop at a clearly marked stop line, but if none, before entering the crosswalk on the near side of the intersection..."
So who is responsible for the accident pictured above? First we look at the sedan's actions. In the first photo, the light has been red for only 0.2 sec., but the front of the sedan is already well into the SUV's lane. To get there, the sedan traveled about 20 feet beyond its "safe" zone. If we guess that the sedan moved at an average of 10 MPH ( = 15 ft./sec.) up to that point, it would have taken 1.3 sec. to move that distance. Thus, the sedan began its turn approx. 1.1 second before the light turned red. Next we look at the SUV's actions. The first picture shows what appears to be a clear violation - the SUV is not yet past the limit line, and is facing a light that had been red for 0.2 second. But the SUV was braking hard at the time the first photo was taken, in response to the sedan having begun its turn some 1.1 secs. or more before. (The skid marks are visible in the second photo.) It's arguable that if the SUV had not been forced to brake, it would have made it to the limit line 0.2 sec. or more sooner, before the light went red. 2. 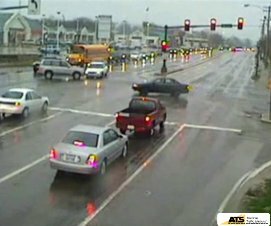 The driver of the sedan, who carelessly began his left turn without checking to make sure that opposing traffic - which was not facing a red light at the time he began his turn - would clear the intersection. The photo above is from another "That woulda been legal in California" accident from Arizona. (See also Photos # 5, above.) Well OK, it "woulda been legal" here in CA before the ban on hand-held cellphones. If you play the video (YouTube copy) a frame at a time, you can see that the eastbound SUV was past the first white line before the light turned red. 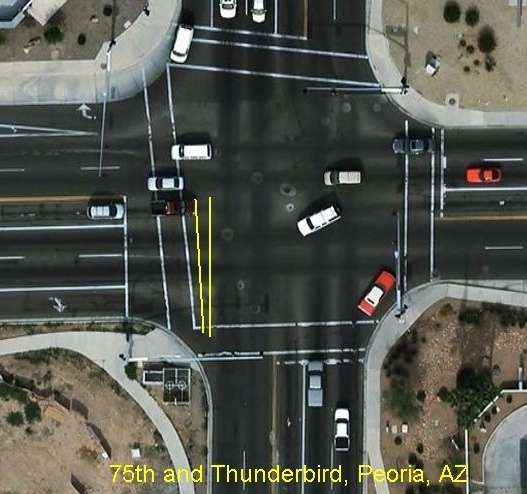 The actual Limit Line is not visible in the video - in Peoria, it is marked using red "Thermo" tape, and I was told that at this intersection the tape is just beyond the third white line. It may be the dark area in the video. Below is an aerial view of the intersection, with yellow lines added to indicate the two possible Limit Line locations - both of which are two car lengths beyond the Stop Line. 2. The driver of the pickup, who carelessly began his left turn 1.5 secs. before the light turned red and without checking to make sure that opposing traffic - which was not facing a red light at the time he began his turn - would clear the intersection. "The first image was taken at 4.5 seconds [Late Time]after the lights turned to red, the second was taken at 5.5 seconds." "The built up traffic suggests that the light has been red for some time and the pedestrian has already crossed half of the road." However, the caption did not reveal the actual Late Time, and it is hard to read it in the photos. But, since the cumulative Late Time in the second photo is 10+ seconds ("R10x"), the Late Time in the first photo must be 9+ seconds. "These photos were taken recently [June 2000] by the photo enforcement camera at the corner of New York and New Jersey Avenues, NW. 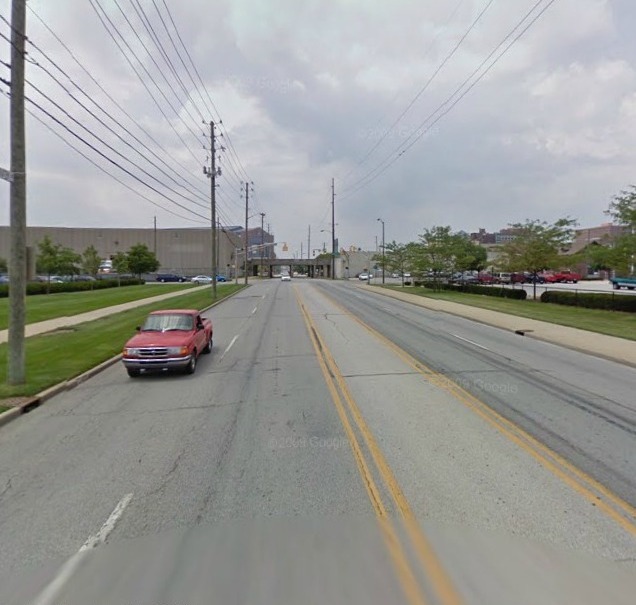 They show just how dangerous it is to run red lights for both the offending driver as well as other motorists and pedestrians." Note that the late time was 9.2 seconds, and that the location has three limit lines in quick succession as well as a lot of signage, which could confuse drivers. If this location is experiencing a lot of accidents, perhaps the design and marking of the intersection is a contributing factor. The photos above are from the website of the Insurance Institute for Highway Safety. The IIHS did not provide a caption. Note that the late times were 6+ and 7+ seconds. 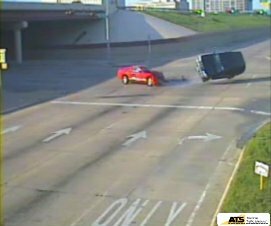 In Aug. 2009 ATS (American Traffic Solutions) published a video "Montage" (YouTube copy) of seven crashes as part of the annual National Stop on Red Week promotion. (a) Motorcycle rider missed red by 4 secs. or more, most likely due to inattention or impairment; not on purpose. Cameras will not stop such accidents. 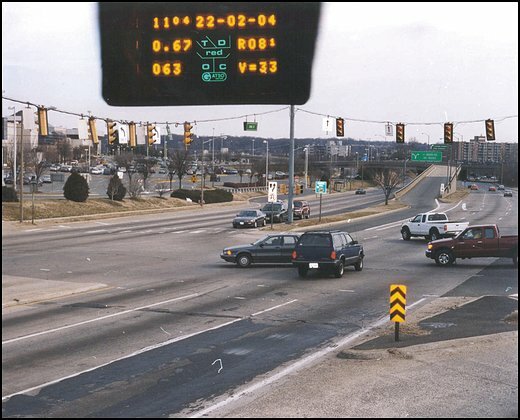 Signals located right after cars emerge from dark underpasses are known hazards and a popular site for red light cameras. The local traffic engineers need to put in larger diameter signal lights and improve/better maintain the pavement markings. Cameras can't stop the running. Signal was red 3 secs. or more, so running probably was due to inattention or impairment. Improve pavement markings and visibility of the signals. Arrest impaired drivers. Cameras cannot stop such accidents. (d) & (e) The drivers made a left turn without checking for oncoming traffic. Since the same accident is happening repeatedly at the same intersection, maybe it is time for the traffic engineers to install a left turn arrow for the cross traffic. Cameras cannot stop such accidents. (f) This crash was probably due to confusion - traffic cones, rainy day. Some accidents just happen; cameras can't stop them. 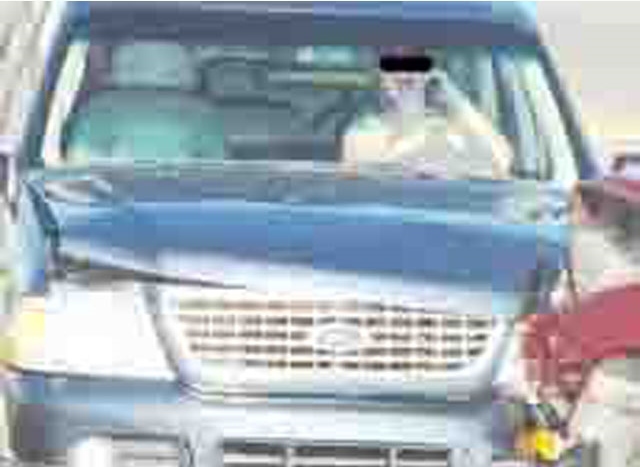 And it can be argued that the initial flash of the camera may have added to the driver’s confusion/distraction. (g) We can't see the light the white truck was facing, so there is no evidence that he had a red light, or for how long. He probably is an older driver or one with poor night vision, or otherwise impaired, and even if his signal had been green would have been just as likely to hit the poorly marked traffic island and (overly sturdy) pole. As in (f) above, the initial flash of the camera may have been a contributing factor. Proper marking of the "nose" of the island, and pole, is needed. "Look at all the accidents our cameras didn't prevent." Intererestingly, none of the seven accidents was a right turn accident. You'd think that to justify the company's heavy emphasis on right turn enforcement, ATS would have provided footage of a few right turn accidents. Despite the fact that the majority of tickets issued nationwide are for a Late Time of less than 1/2 second, all of the accidents depicted showed cars that were obviously multiple seconds late. Where's the videos justifying the numerous 1/10th, 2/10th and 3/10th Late Time tickets? 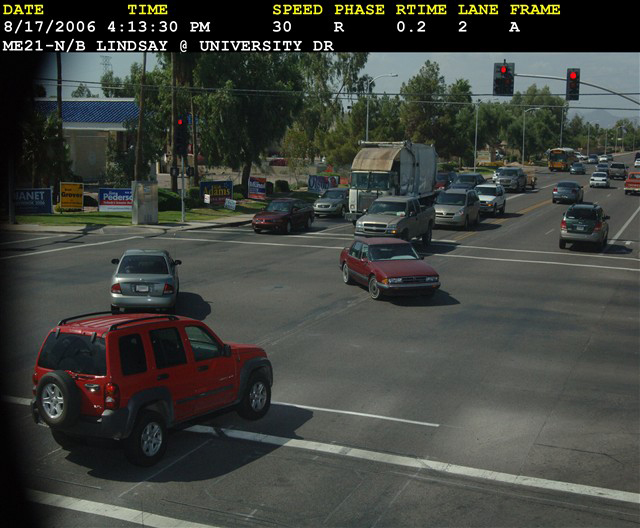 These photos are from the three videos displayed on the City of Glendale, California red light camera web site in late 2009. (a) This is southbound Glendale Ave. at Broadway, in Glendale. The video's (YouTube copy) title, "A Big Truck at 55," suggests that the truck was doing 55 MPH ( = 81 ft./sec.). The still image above is the first frame where the light was red. The truck, which is just entering the frame, looks to be 60 feet from the limit line. Per the signal timing chart provided on the City's red light camera website, the yellow for Glendale Avenue is 3.6 secs. long. (Interestingly, the yellow for Broadway is 3.9 secs.) 3.6 secs is the minimum yellow in a 35 zone. But from this video, and from the very high speed in the other nighttime video below, it appears that this wide boulevard is allowed to operate at higher speeds at night. Were the yellow to be set at 4.3 secs., which is the minimum length required in a 45 zone, this truck would not have violated the red. 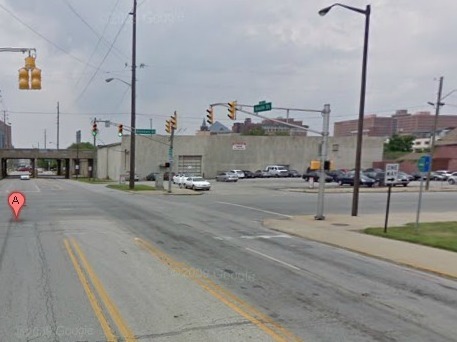 Further, this wide intersection needs to have signal lights positioned on the "near" side. (b) This is eastbound Colorado Blvd. at Pacific Avenue. 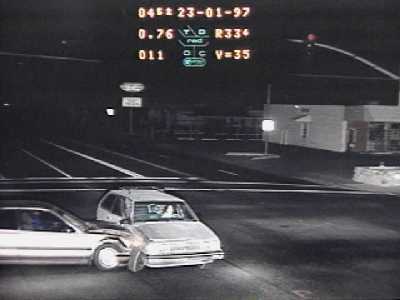 The video's (YouTube copy) title, "A 68 MPH Violation," suggests that the car was doing 68 MPH ( = 100 ft./sec.). The still image above is the frame where the light was changing from green to yellow - the yellow is strongly lit, and the green is just a pinpoint of light. In the image above, the light will not be red for another 3.9 seconds but the left-turning truck has already begun his (unprotected) left turn. The truck driver probably underestimated the speed of the oncoming car - or failed to see it coming. A longer yellow, or a red light camera, might have kept the car from violating the red, but it would not necessarily have prevented the (near-) accident. An accident like this could happen any time during the signal cycle. All that is required is for someone to carelessly begin a left turn without checking oncoming traffic. (c) This is eastbound Colorado/Pacific again. The video can be viewed at "A Near Collision" (YouTube copy). The still frame above was grabbed at the instant the light was changing from yellow to red - as a result, neither the red light nor the yellow light is visible. The front of the taxi is already well into the sports car's lane. To get there, the taxi traveled about 20 feet beyond its "safe" zone. If we guess that the taxi moved at an average of 10 MPH ( = 15 ft./sec.) up to that point, it would have taken 1.3 sec. to move that distance. Thus, the taxi began its turn at approx. 1.3 second before the light turned red, and with oncoming traffic clearly visible. As with (b) above, a longer yellow might have kept the sports car from violating the red, but it would not have prevented the (near-) accident. An accident like this could happen any time during the signal cycle. All that is required is for someone to carelessly begin a left turn without checking oncoming traffic. Near-accidents (b) and (c) show that the City needs to protect left-turners by installing a left-arrow. Interestingly, none of the three near-accidents involved a right turn accident. You'd think that to justify the City's heavy emphasis on right turn enforcement, Glendale would have provided footage of a few right turn accidents. In 2012 Glendale closed their red light camera program. 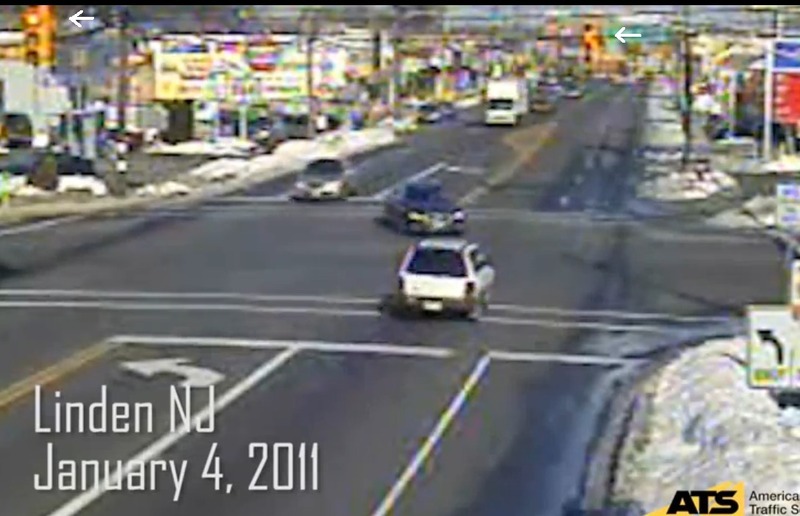 In Dec. 2011 ATS (American Traffic Solutions) published a number of video compilations of crashes supposedly caused by red light running, including one compilation of crashes in New Jersey cities. The Linden left-turn accident shown above (begins at 0:58 on the YouTube video alternate copy) was not caused by a red light runner. The lights were yellow (follow the white arrows added by highwayrobbery.net). The left turner carelessly started his left turn too soon, several seconds before the light went red. Did ATS fail to notice that the Linden segment was not an example of red light running, or did they like the violence in the video so much that they decided to put it up anyway, hoping the public would be fooled? The Linden police weren't fooled, though. A "change report" page of their official Crash Investigation Report assigned fault to the premature left turner. 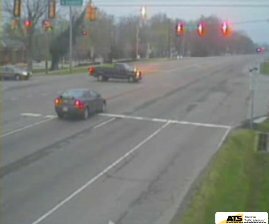 In Aug. 2012 ATS (American Traffic Solutions) made a promotional video featuring Tom and Lauren Hanley, an Indianapolis couple whose 2010 wedding was ruined when the driver of a shuttle bus carrying the wedding party ran a red light and collided with another vehicle, killing the groom's best friend and injuring fourteen. The video was distributed by ATS' front group, the National Coalition for Safer Roads. The Hanley's advocacy for red light cameras carries with it the suggestion that a red light camera would have prevented this tragedy, and will prevent recurrences, but the facts do not support their conclusion. The shuttle bus driver didn't run the light by just a fraction of a second. He wasn't cutting it close, he just "blew" it. His light had been red long enough for the large SUV he hit to be more than half way across the intersection. Either he didn't see that an intersection was coming up, or didn't notice that the light was red, until it was too late. It is understandable how he could have overlooked the intersection and the signal - they are poorly designed and badly maintained. 1. The limit line and crosswalk paint is worn out. 2. The signal heads are small with no backboards and are on the far side of the wide intersection, amid the visual clutter of the signal heads for the other directions of traffic, a railway overpass, and large industrial buildings. 3. The street name signs are on the far side of the intersection, and are not illuminated. 4. There are no pavement markings warning, "Signal Ahead." From 200 feet away, you can't tell there's an intersection there, at all.